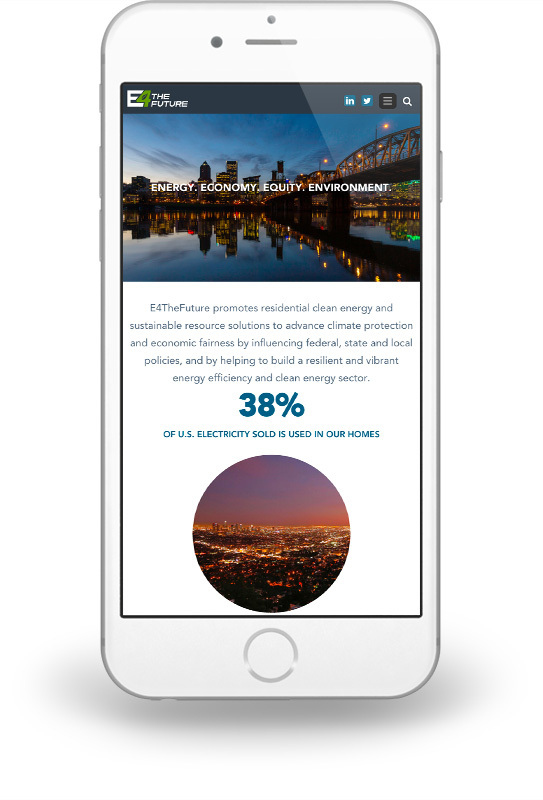 E4TheFuture promotes residential clean energy and sustainable resource solutions to advance climate protection and economic fairness by influencing federal, state and local policies, and by helping to build a resilient and vibrant energy efficiency and clean energy sector. E4TheFuture had just been started and had no web presence. In addition, there was no single repository for nationwide information and publications on energy policy and steps governments and organizations can take to advance clean, efficient solutions for residential customers. 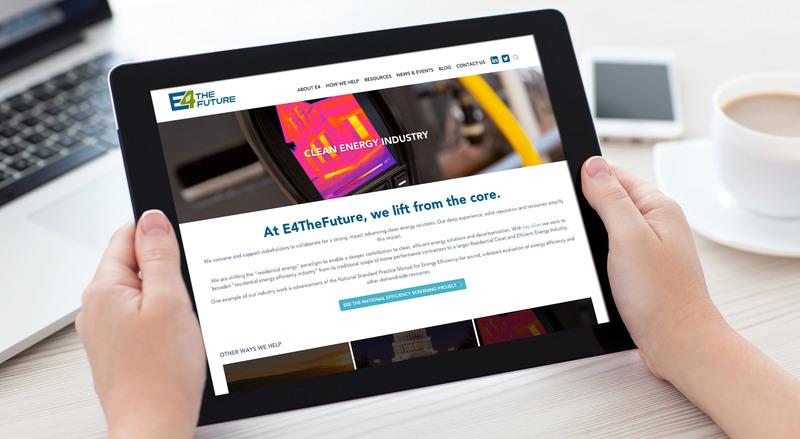 A fully optimized, responsive website was created serving as a first-touch resource for learning about E4TheFuture’s role in residential clean energy policy advocacy and learning about related events and webinars. 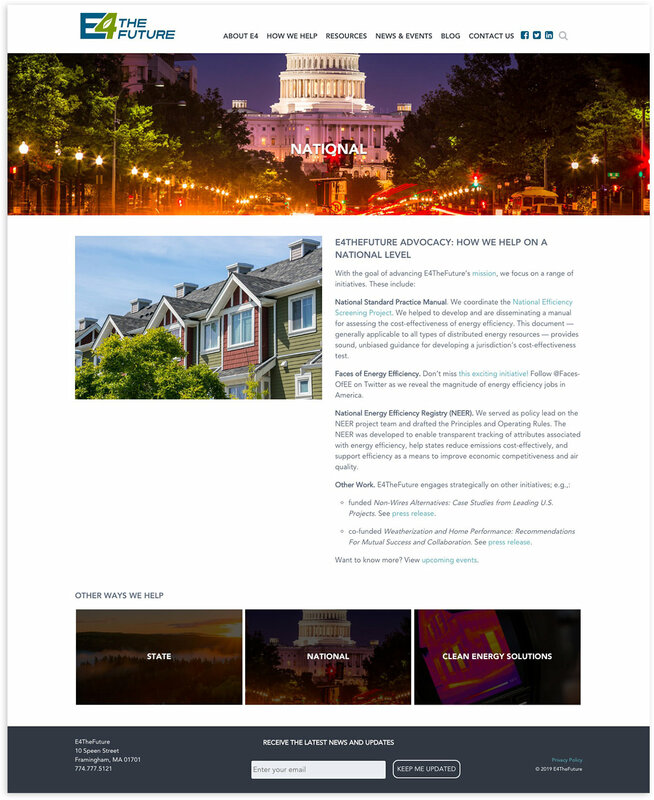 Information regarding local, state, and national policy are centralized, saving valuable research time for visitors. An invaluable resource for education and pertinent news relating to clean, sustainable energy. The site enables people from all levels of government and community to participate and spread awareness. State-level resources are made available for easy access in one location, saving hours of research time. All downloads are tracked and analyzed for easy follow-up.